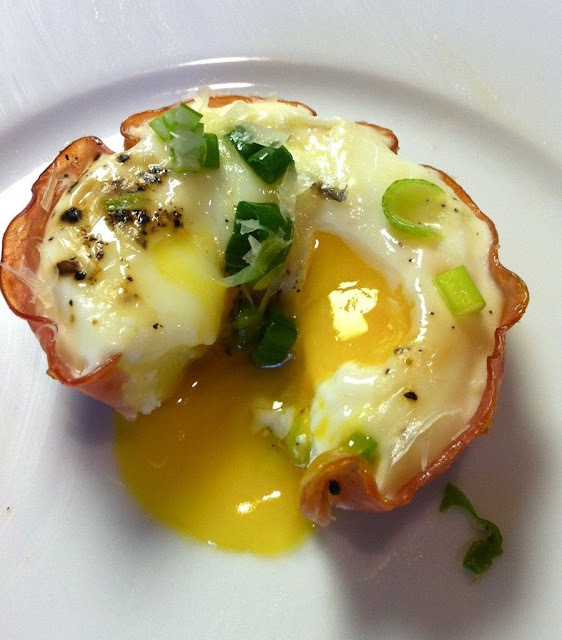 A super quick and delicious meal for breakfast, that can be made for large groups or just yourself! 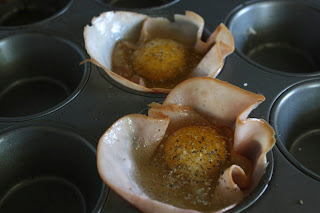 Spray muffin tin with cooking spray - I use the misto sprayer with olive oil - as I only use olive oil as a vegetable oil. 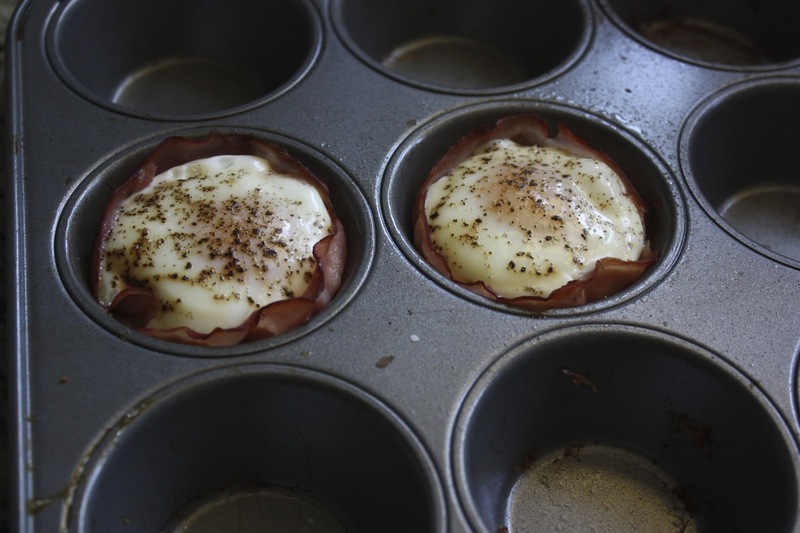 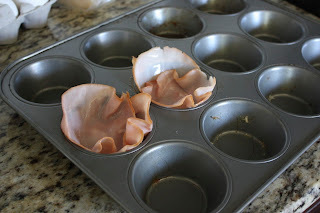 Line muffin tin with two slices of ham, overlapping them so that they cover the entire muffin tin. Crack an egg into the muffin tin. Cook in oven for 10-13 minutes, checking to see if the egg whites on top are done. 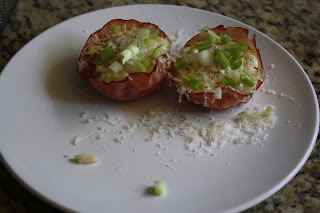 Once finished scoop out of muffin tip with a spoon and top with grated parmesan and chopped scallions or other herbs would be great. 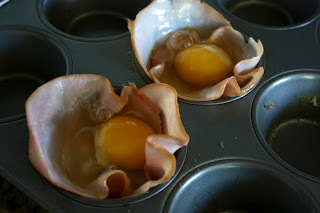 Recipe nutrition estimated on sparkrecipe.com for 1 egg cup.